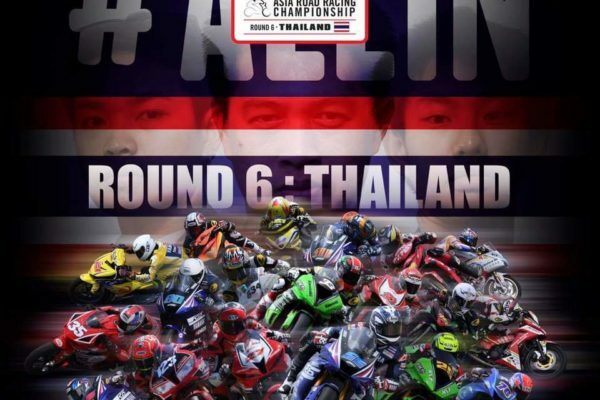 The Asia Road Racing Championship (ARRC) once again brings a big box of fireworks along to Buriram to close the racing year. Added to the race-by-race thrills in 2018 has been an enthralling and tense confrontation between championship leader, Anthony West, and 2017 champion Azlan Shah, which is set to go off with a bang, despite West being confined to the Webike IKAZUCHI garage. Azlan needs no less than two second places this weekend to overcome his deficit in the standings, which looks like a high order after an indifferent season by his standards. In the event of taking a brace of third places, he has made one more, albeit impressive, podium appearance thanks to a race 1 win at Suzuka in round 3. Astra Honda’s Andi Farid Izdihar and his own team-mate, Ahmad Yudhistira are just three points behind on 99, while former champion Zaqwan Zaidi is on 94 and home hero Ratthapong Wilairot has 91. There is plenty more to watch for beyond the title contenders and World Supersport stars. Gerry Salim, who took a double Supersport 600 win at Sentul in 2016, returns from Europe to replace Astra Honda’s injured Irfan Ardiansyah, while Taiga Hada, Decha Kraisart, Yuki Ito, Keminth Kubo and Hong Leong Yamaha Malaysia’s young guns, Ramdan Rosli and Kasma Daniel Kasmayudin are all capable of top three finishes. There is plenty at stake as ARRC’s intermediate class prepares for its last outing of the season. Rheza Danica Ahrens arrives with the 2018 championship already in the bag and can expect to enjoy the weekend as an inside witness to the fight for second place. During a season in which Indonesia’s Astra Honda has exerted a stranglehold on the series, Yamaha Thailand’s Anuparb Sarmoon has scrapped his way to second in the standings with 126 points, four and nine ahead of Rheza’s stable-mates, Mario Suryo Aji and Awhin Sanjaya respectively. Indeed, with Rafid Topan Sucipto and Andy Fadly in fifth and sixth places, Anuparb is the only non-Indonesian in the top six. 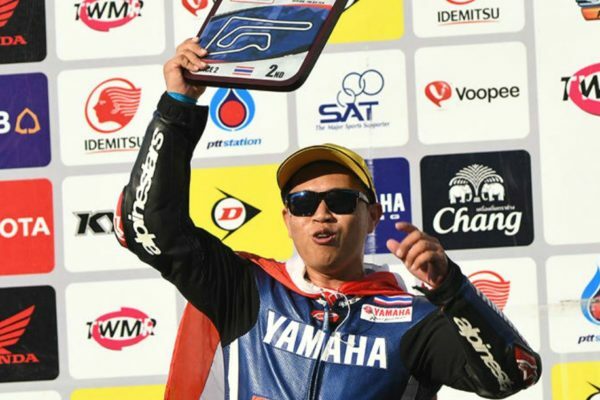 The 25-year-old Thai, who is expected to contest the Asian Superbike (ASB) 1000 class in its inaugural 2019 season, had his best result, and his only win, of the season in round 1 at Chang International, so will be full of intent to take the best prize still left on the table. Fortunes have ebbed and flowed for some of the best riders in the series in 2018, so a look at the form book is in order. 15-year-old Mario, who racked up six podiums as wingman to Rheza, faltered with crashes in the last three AP 250 races in India and Indonesia and has also had trouble staying upright in the Asia Talent Cup during the late stages of the season. He will be looking for a recovery to overhaul Auparb for second in the championship. Awhin Sanjaya, who had been viewed as the third Astra Honda rider, challenged that perception with a second place and a win at his home race in Round 5 and could benefit from any slip by Anuparb and Mario. Rafid Topan Sucipto, the only other Yamaha rider to get consistently among the leaders, is enjoying a good run and can be expected to go well again this time out. Manual Tech KYT Kawasaki’s Andy Mohammad Fadly has shown he can put a good race together this season and has done well to finish on the podium four times. The speed of the Ninja 250 will suit the Thai track. AP Honda’s Muklada Sarapuech has more than her share of challenges this year, including penalties from race direction in the first race of round 1, which bumped her from second to seventh place and a horror crash at Suzuka in Round 3, which left her with a complex fracture of the left wrist that has still barely knitted back together. She is, however, one of the toughest riders on the grid and came back from race 1 penalties last time out at Chang to win race 2 and will be expecting podium finishes to round off 2018. Her team-mate, Kritchaporn Kaewsonthi, has shown flashes of brilliance, but lacked consistency, so could be spurred to the front again by his resurgent team-mate. 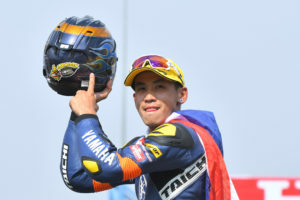 World Supersport 300 race winner, Galang Hendra Pratama is also drawing attention as the replacement rider for M. Faerozi, while Kim Woo Jung is being made welcome as the first Korean rider in the series. At the end of a season in which he has shown big point scoring consistency that few achieve in a class where machines and riders tend to be as highly strung as each other, Helmi Azman begins his weekend in Buriram 42 points clear of nearest rival, Izzat Zaidi, and needing just eight points to secure the Underbone 150cc 2018 championship. His points total of 164 from five rounds includes two wins and four second places. His worst finish was a sixth in Indonesia race two, when another rider crashed on the last lap and forced him to slow down. He suffered one DNF in Australia with a broken engine and needs just one eighth place finish to seal his first ARRC championship. SCK Rapido Hi Rev Honda Racing, in which Helmi is supported by Fakhrusy Syakirin Rostam and Travis Hall, have one hand on the team championship, thanks to a 36-point advantage over RCB Yamaha YY Pang Racing Team. While Izzat’s goal will be to repeat his 2018 round 1 win twice, Helmi will be looking to stay out of trouble in what could easily be a 10-way fight for the lead in each race. Riders who have not met their potential this year, like Indonesia’s two former champions, Wahyu Aji Trilaksana and Gupita Kresna, go the final round full of intent and will be challenged all the way by the rest of the 23-bike grid. Other names to note are UMA Racing Yamaha regulars Akid Aziz and Haziq Fairues. Who will be joined again by Filipino star, McKinley Kyle Paz and Vietnam’s To Ha Dong Nghi. 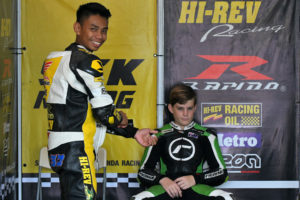 Indonesian wildcards, Wawan Wello and Reza Fehlavi, who impressed at Sentul, earned themselves another outing at Chang International and will want to make the most of the opportunity to showcase their talents on a big stage. 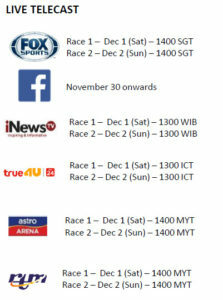 The full three days of action will be screened live on the ARRC Facebook and will be broadcast on TV throughout Asia and on Fox Sports.